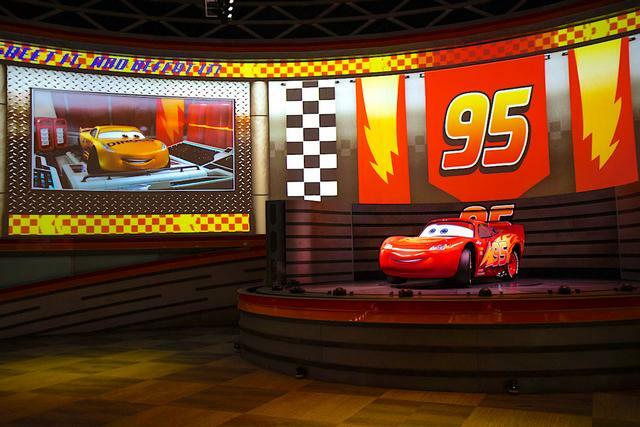 Lightning McQueen's Racing Academy is a live theater show in Sunset Boulevard at Disney's Hollywood Studios. It's worth seeing on a time-permitting basis. Feature Cars' Lightning McQueen sharing his racing tips, with appearances by Tow Mater, Cruz Ramirez and other friends from Radiator Springs. The show opened March 31, 2019 in the Sunset Showcase theater.